The novel, based on a true story, takes place in Iceland in the early 19th century. Agnes, a housemaid, has been charged with murdering her former master and is sentenced to death. But as the ground is too hard to bury a body till the spring, she awaits her execution at an isolated farm located in the valley where she grew up. Initially, the family who own the farm are horrified that a convicted murderess will be living with them and they avoid her as much as is possible. It is only Toti, a young, inexperienced priest Agnes has chosen to be her spiritual guardian, who listens to and attempts to understand her. Despite being a pariah to the family on the dilapidated farm, however, Agnes finds the routine of its chores comfortingly real, and slowly opens up to Toti about the circumstances surrounding the murders. It is through her telling of these details that the family – overhearing her in the small shack of a farmhouse – learn that there is another side to the scandalous story they’ve heard. A dear friend who recently visited left this behind for me to read. Hungry for English, I devoured it. I found it lyrical, haunting, and quietly dramatic, particularly as it takes place in the harsh environment of Iceland among the impoverished (majority). So I truly did enjoy it and I appreciate that this is author Hannah Kent’s debut novel, which is a great accomplishment. Even so, its primary tale (a convicted housemaid kills her masters), based on a true story, as well as its circa (early 19th century), keenly recalls Margaret Atwood’s book Alias Grace. 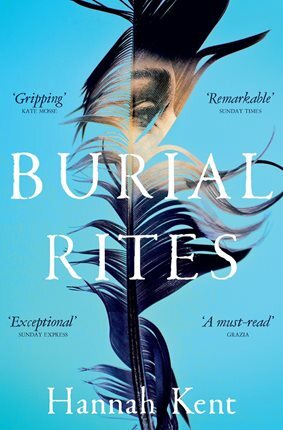 As a result, I couldn’t help but read Burial Rites in a critical fashion, comparing it to Atwood’s book throughout. In my opinion, while a good read in a very similar ‘vein’, this book is not as good as Atwood’s in terms of literary prowess, insight, wisdom, and cultural and historical knowledge and complexity.